LAS VEGAS -- From donating blood to opening your wallet, there are different ways you can help the victims of Sunday's mass shooting in Las Vegas, which was deadliest in modern U.S. history. 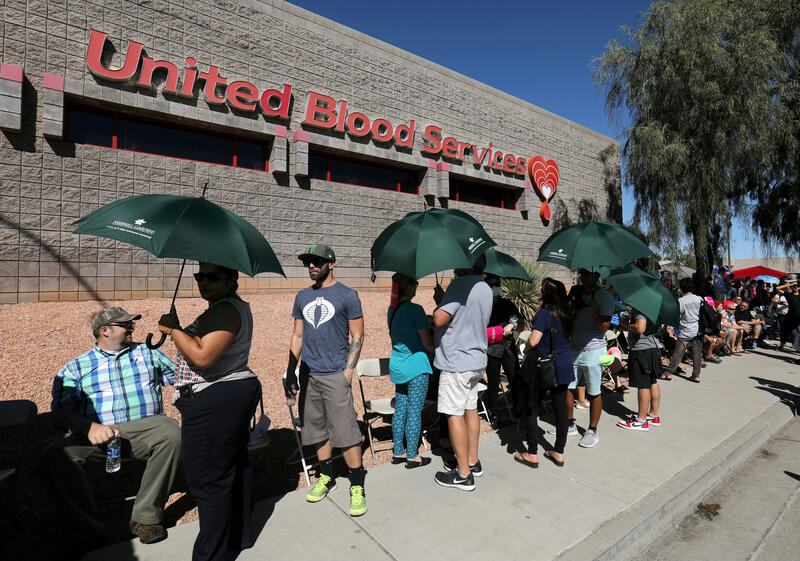 If you are in the Las Vegas area, there are options for donating blood, although officials say that they currently have enough blood to meet immediate needs, citing "overwhelming turnout," according to CBS Los Angeles. United Blood Services and the American Red Cross have both provided blood to Las Vegas hospitals, and both list blood donation centers on their websites. If you live outside of Las Vegas, you can still donate blood, which will help to free up the overall blood supply. Click here to find a blood donation center near you. According to the Red Cross, donors must be at least 17 years old to donate blood. Some states do allow 16-year-olds to donate if they have parental consent. All donors are required to weigh more than 110 pounds, regardless of age.